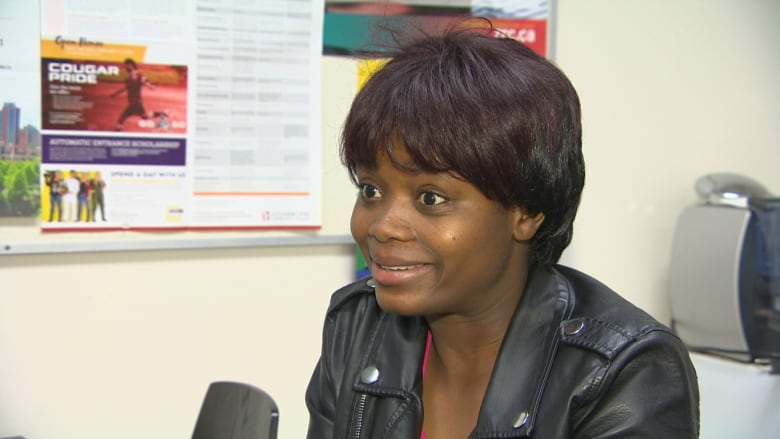 A former refugee who could not afford to attend school as a child is one of 39 Winnipeggers starting their post-secondary education this year — all thanks to scholarships paid for by a single donor. "My life has changed forever," Missie Gatoro, 19, told CBC. "One hundred per cent." The gift of a post-secondary education comes courtesy of local philanthropist Walter Schroeder and his wife Maria, an extension of a previous donation in March 2018. At that time, Schroeder donated $10 million to three inner-city high schools — Daniel McIntyre, Sisler, and St. John's — to help them support underprivileged students. He then followed that up by creating a foundation and committing close to $500,000 to those same schools to finance scholarships for 39 students. Gatoro, who is now enrolled at Red River College for business administration, was stunned to learn she was one of the recipients of those scholarships. "It's so hard to believe that kind of a person who has the heart to feel for us," she said. Like the other recipients, Gatoro's tuition, textbooks and supplies will be covered. She always dreamed of getting a post-secondary education but before the graduate of St. John's High School was awarded the scholarship, she doubted it would ever happen. Born in the Democratic Republic of Congo, Gatoro was sent to Uganda during the civil war. She spent her childhood there as a refugee. Her parents stayed behind. "War separated us," Gatoro said simply. Schooling was sporadic, a luxury only indulged in whenever they had enough money for the fees. "Sometimes I had to take time off," she said. Three years ago, she was accepted into Canada and made the move to Winnipeg. The transition into a new country, new culture and without family wasn't easy. Her hopes for a future soon dissolved into despair. "It's not easy the way I thought it was gonna be," Gatoro explained. "What I found hard here, to live by myself, so stressful, I lost hope." The scholarship, however, changed all that. "I have hope again," she said. Schroeder made his fortune founding the global credit rating agency DBRS. Now retired, he has decided to give back to his hometown. The scholarship comes with rules, however. 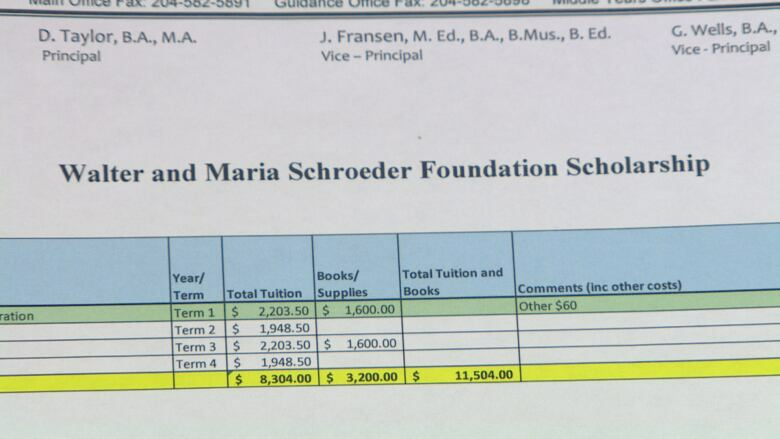 Recipients had to sign a contract, allowing Schroeder and the foundation complete access to their marks and attendance records. The students are also expected to manage full course loads. "I agree with that 100 per cent," Gatoro said. "I have to do what is my responsibility. I have to try my best." Gatoro's story is a perfect example of how these scholarships will change students' lives, said St. John's High School principal Doug Taylor. "The goal is to get good kids through a program and get a successful job, " Taylor said. "[Schroeder] is committed to this. He wants to create a legacy." Gatoro's mother — now living a refugee in Uganda — called it an answer to her prayers. "When I told her about it, she said, 'I just knew you were going to get that,'" Gatoro recalled, laughing. "She said, 'I was praying.'"